Jonathan Drazen’s (from Songs of Submission) sister, Theresahas her own love story to share with her series; Songs of Corruption. Theresa is a busy woman running an accounting department, working on mayoral candidate’s campaign and helping on her friend’s movie set. She catches the eye of a local crime boss, Spin. 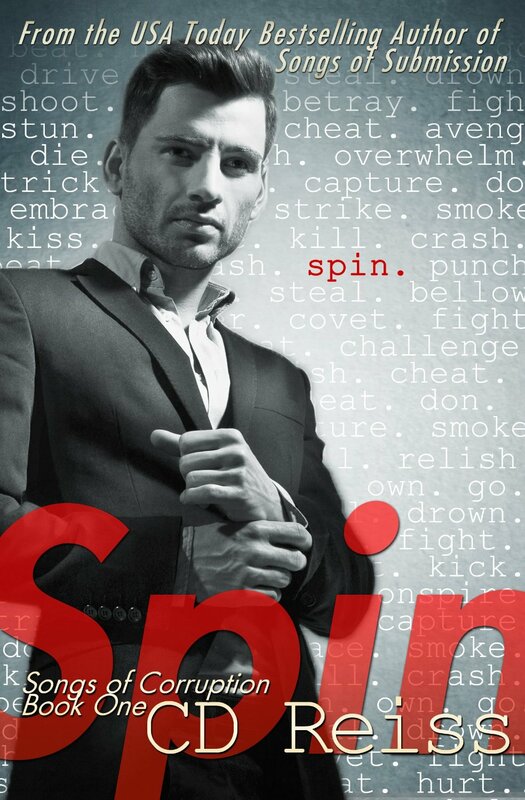 Antonio Spinelli aka Spin or Capo is somewhat of mystery to Theresa. He seems to have his hand in many cookie jars. Even though he likes Theresa and she drives him nuts there is a lack of trust between the two of them that hinders their relationship from moving forward. In a few parts of the story I got lost and had to look back to refresh my memory with what has happening. I also wished I knew some Italian slang so I could have picked up on some of the words more easily. I did find it a little much that the heroine spent a lot of time “soaked” between the legs whenever she was around Spin. However it was an overall intriguing story line and I’ll be curious to see what happens next with this couple. Continuing story. Click here to see when book 2 & 3 are suppose to be released.